Jeans are pants made from denim or dungaree cloth. They were invented by Jacob Davis and Levi Strauss in 1873 and a worn still but in a different context. Jeans are named after the city of Genoa in Italy, a place where cotton corduroy, called either jean or jeane, was manufactured. 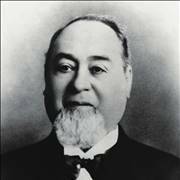 Levi Strauss came from Germany to New York in 1851 to join his older brother who had a dry goods store. In 1853 he heard about Gold Rush in the West so moved to San Francisco to establish Western Branch of the family dry goods business. There he sold, among other things, cotton cloth. 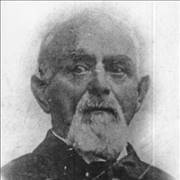 One of his customers was Jacob W. Davis, a tailor from Reno, Nevada. Davis made functional items such as tents, horse blankets, and wagon covers. One day, his customer ordered a pair of sturdy pants that could withstand hard work. He made them from denim that he bought from Levi Strauss & Co and made them stronger by placing copper rivets at the places pants rip the most: pockets and flies. When he wanted to patent them, he wrote to Levi Strauss, and they became partners. They opened a bigger factory, and that is how jeans were born. 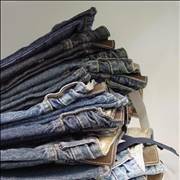 Jeans marked culture of the last 140 years probably more than we think. They were first working clothes, then symbols of disobedience only to become fashion items. History of denim and jeans is long and colorful. Jacob W. Davis and Levi Strauss teamed up from necessity and created an item that will influence cultural groups for years and even today - they created jeans. Here you can learn more about jeans inventors. Did you know that the most expensive pair of blue jeans is sold for $250,000? 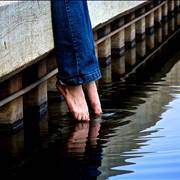 Did you know that the longest pair of blue jeans is sixty-eight meters long? Read more interesting facts about jeans. Did you ever asked yourself how blue jeans are made? Or even zippers? Now you have a chance to find out. 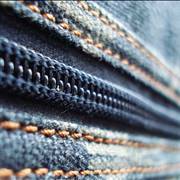 Read about methods of manufacturing of jeans and zippers. Jeans are made of a material called denim. The name “denim” comes from the name of a sturdy fabric called “Serge de Nîmes”, initially made in Nîmes, France, hence “de Nîmes” - “denim”. Weavers of Nîmes tried to reproduce the cotton corduroy that was famously made in the city of Genoa, in Italy, but with no luck. 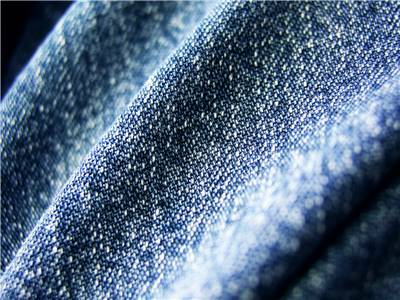 With trial and error, they developed another twill fabric that became known as denim. That was cotton twill textile, in which the weft passes under two or more warp threads. Warp threads were dyed in indigo while weft threads remained white that gave to denim blue color on the one side and white on the other. 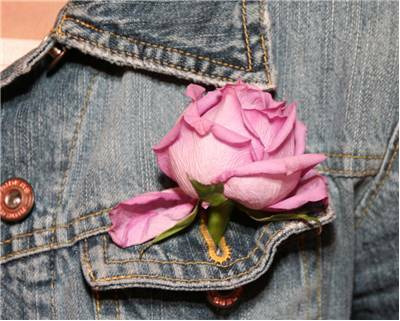 Denim is highly durable, and that is why he was used by people that needed clothes that would last long. 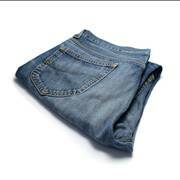 That is also why it was used by Levi Strauss and Jacob W. Davis for material for jeans pants. 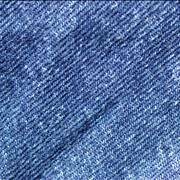 Indigo dye is a color used for coloring the denim. It is an organic dye with a distinctive blue color. It was manufactured and used in India, from where it got its name, since the ancient times. From India, Indigo is imported to Egypt, Greece and Rome. Other ancient civilizations, such are China, Japan, Mesopotamia, Egypt, Britain, Mesoamerica, Peru, Iran, and Africa also used indigo for dyeing. Indigo in India was made from plant Indigofera tinctoria. It was used on cotton because it was the easiest method of coloring. The only problem was: color didn’t last long. Indigo was a rare luxury in Europe in the Middle Ages because of high duties imposed by Persian, Levantine, and Greek middlemen. With discovering of a sea route to India that problem was solved and indigo plants are moving to colonies. Organic Indigo is used until the discovery of the synthetic indigo in the late 19th century. It becomes cheaper variant and replaces it.